Palacinkes, originally uploaded by bill kralovec. I can’t say enough how friendly the Serbs have been to us. 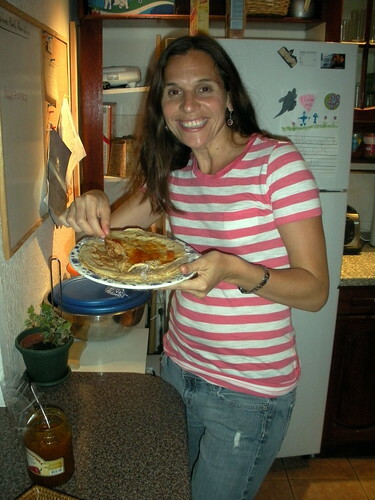 Nadia is shown above eating palačinkes and homemade apricot jam. Our neighbor Radko, brought them over today. Delicious! This is another example of how nice we have been treated in Belgrade. Palačinkes are translated many times as “pancakes” but they are more like crepes. We had a nice BBQ for some of the new teachers from the school. Some commented that was one of the big first impressions. The general easy-going nature of the locals and their kindess. New teacher orientation begins tomorrow.